What are the advantages of state subsidies for car loans? How to take a preferential car loan? What cars can be purchased on preferential terms? In what banks are the best conditions for car loans at the moment? Do you want to buy a car, but you do not have enough money for it, and a car loan on standard terms is too expensive for you? No problem, the state will help. State subsidies are beneficial to all – it attracts customers to credit institutions, supports the Russian automotive industry and solves the transport problem of the population. 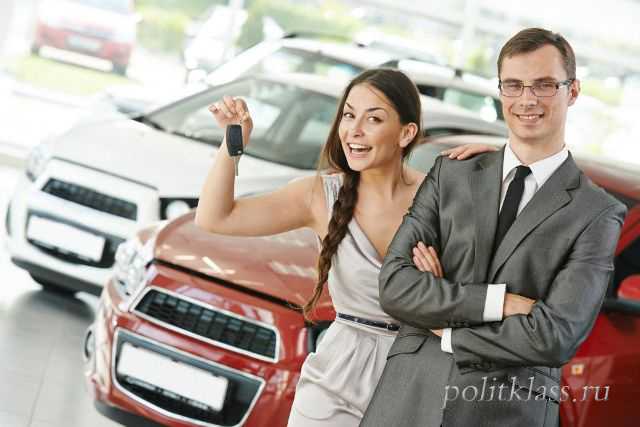 I, Dmitry Tkachuk, financial analyst and correspondent of the "Political class"will tell you how to buy a car on credit with state support, and who is entitled to it. I advise you to read the article to the end, at the end will be a selection of banks with the most favorable conditions, and will be given recommendations that will help you if you are denied preferential lending. To simplify navigation according to the article, the following are the contents (all the titles are clickable). Task 3. Compensation of interest to citizens on car loans. 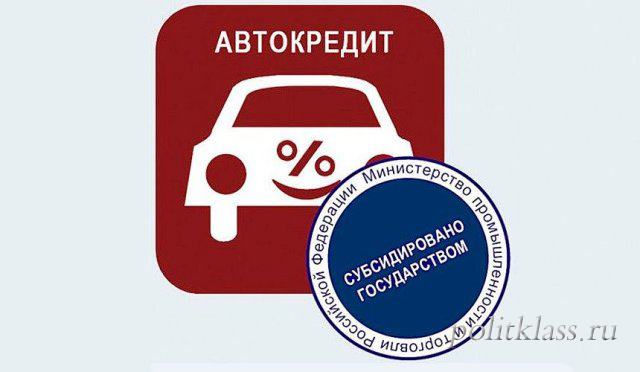 Initially, the state program of preferential car lending was to be completed in 2016, but the government decided to extend it until the end of 2020 (and this is not the limit). Therefore, everyone, if their income and credit history meet the requirements of the Bank, can buy a car on credit on preferential terms. What is state subsidization of car loans? This is the state's financial assistance allocated to support and develop the automotive industry in Russia. This program has been in place since 2009. State support programs were different, but their essence was the same – the state compensated the customers part of the interest rate (at the moment, the reduction of the interest rate was canceled, but there was a discount from the cost of the car in the amount of 10%). the discount is fixed and is 10% (not for all borrowers). For the Far East - up to 25%. the car is pledged - until the full payment of the car loan the car is pledged to the Bank. According to the programs of preferential car loans in 2018, unlike 2017, they left a 10% discount on the cost of the car, but canceled the reduction in the interest rate. Only the residents of the Far East were lucky, they not only kept the rate reduction, but also increased it. This decision of the Ministry of industrial trade is due to the low level of sales of new cars. Residents of the region prefer used cars of Japanese manufacturers. Since April 11, 2018 in the region there are discounts on interest rates of 10 – 25% for different categories of citizens. From July 1, 2018, the temporary procedure for the import of vehicles without the ERA-GLONASS security system will stop. The authorities of the region have repeatedly drawn the attention of the Ministry of industry and trade to the inability to put cars on record after this date, but the relevant Department is in no hurry with the introduction of new rules. These measures are designed to stimulate the sale of domestic cars in the far East. A full list of models that fall under the state program of preferential car loans can be found on the official website of the program, but each Bank has its own list of cars. the car remains in the Deposit with the Bank. Preferential car loan programs are available in all major cities of Russia. Each Bank has its own terms of concessional lending, but the main points of the program remain unchanged. A car loan without a down payment in the end will cost you more. Also, the total cost is affected by the presence or absence of CASCO policy. The main task is to support the demand for cars assembled in Russia. Potential customers refuse to purchase a car on credit mainly because of high interest rates. The program reduces the credit load. Thanks to the programs of preferential car loans, the share of cars purchased on credit in 2017 increased to 49%, while in 2014 the share of cars purchased on credit was 35%. In other words, about half of the cars in the country are purchased on credit. Without state support, the demand for cars of the domestic Assembly will decrease, which will further exacerbate the economic downturn in the country. "Family car" - support for families with two or more children. 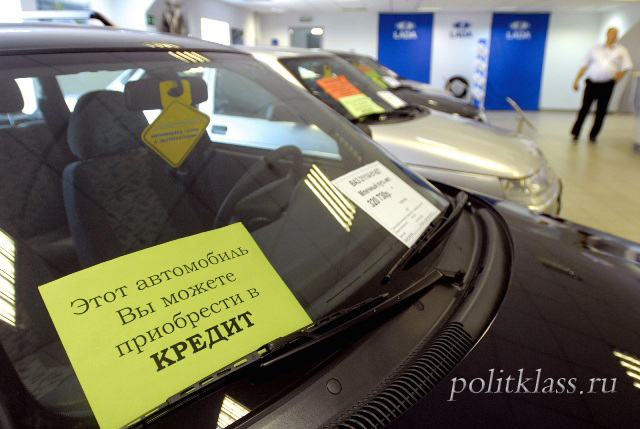 State subsidies for car loans apply only to cars collected in Russia. However, this program is available not only Vases, but dozens of foreign brands – Toyota, Volkswagen, Kia, etc.on the quality of cars collected in Russia can not judge, but judging by the reviews, it is quite acceptable. In 2018, a discount on the rate of car loans is not provided due to the reduction of Bank rates. Families with children will be able to provide a 10% discount on the cost of the car if there is a down payment. As in any other industry, a car loan with state support is a bit more difficult to obtain than a conventional one. Therefore, you will need an instruction, use it, and then the chances of success will increase many times. If you decide to buy a car on credit with state support, then, first of all, you need to choose a car of domestic Assembly. Be aware of the price and year limit. 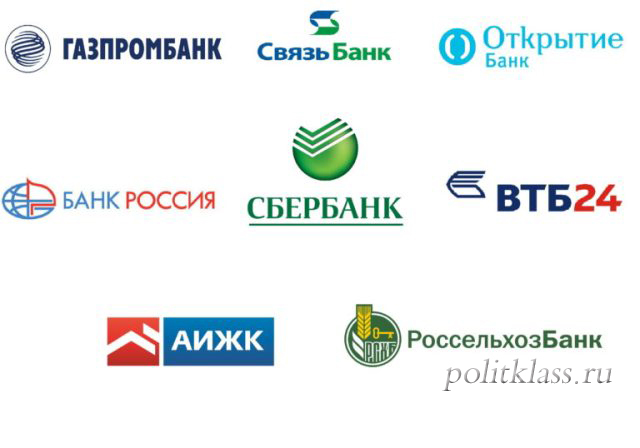 Every Bank has been cooperating with certain dealers. There are enough banks participating in the program. Having studied the conditions offered by banks, you will choose the most optimal option. interest rates and additional conditions. For a quick analysis of the conditions offered by banks, there are special services that do it quickly and efficiently. do not be lazy to find the most favorable conditions. Before you apply to the Bank with an application for a preferential car loan, examine the requirements of banks to borrowers. work activity - from 5 years of permanent experience and 6 months at the current place of work. In some banks, the requirements are milder. For example, the Sovcombank approves and issues loans to people over 65 years old. Some banks require the consent of the spouse to the transaction, data on property, information on additional income. Borrowers have a choice – to apply at the Bank branch or use the online service. The processing time of the application depends on the selected Bank. Important! When signing a loan agreement, be sure to study it thoroughly – study all the sections, especially those in small print. Very often credit managers do not announce important points of the contract. terms of early repayment - how much interest will be taken for early repayment of the loan, how to apply for the closure of the loan. 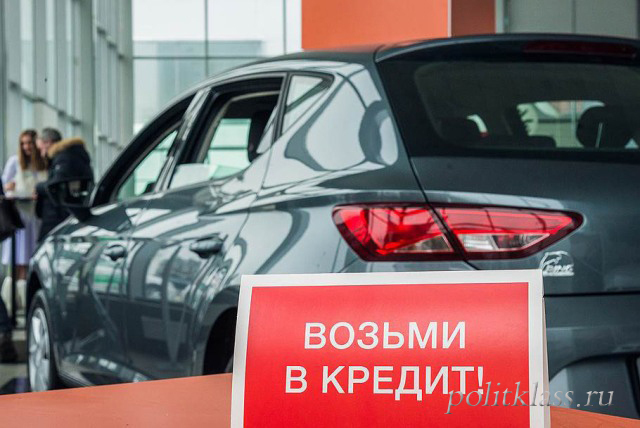 According to the program of preferential car loans, the buyer enters into a contract of sale of the car, registers the car in the traffic police, then transfers the PTS to the Bank for storage. You pay the first installment, if it is provided, and the car is issued as a Deposit. Insurance policy is mandatory, CASCO policy is also mandatory in many banks. Sometimes insurance is included in the loan amount. If the Bank does not limit the choice of insurance company, you can arrange insurance where you see fit. It remains only to pick up the car. Remember that you will become a full owner only after full repayment of the loan. When you have paid off your loan in full, be sure to take a certificate from the Bank that your loan has been fully repaid and that you have removed the car's encumbrance. Choosing the right Bank is the key to success. 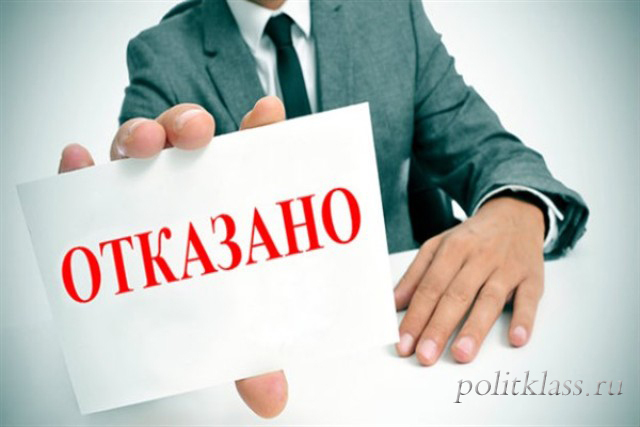 The most profitable loan offers in the program of subsidizing car loans offered by the state UniCredit Bank (age of the borrower 21-60 years, for women-55 years; work experience in the last place of work – 3 months. ; maximum loan term-7 years). 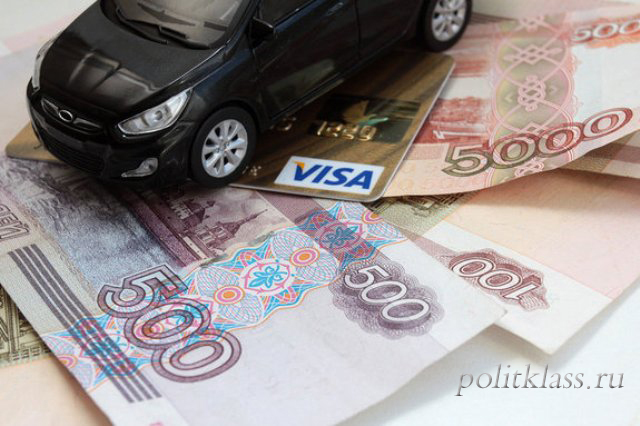 VTB "state program of subsidizing car loans" (initial contribution of 20%, 25% discount - for residents of the Far East and 10% - for residents of other regions of Russia). The issue of preferential car loans is a right, not a duty of the Bank. Any Bank has the right to refuse such a loan, even without explanation. But usually the reason of refusal is sounded. Consider the most common reasons for failure. Everything is simple, the cost of your chosen car is above the set maximum. If your chosen car in full weighs more than 3.5 tons, the program of preferential lending will not suit you. The state subsidy program is designed only for the purchase of new cars produced less than a year ago. The program is aimed at supporting the Russian automotive industry, so you can buy a car with a preferential car loan only of domestic Assembly. If the above reasons are easy to eliminate, then the fifth reason is not so easy to cope with. If you have an outstanding loan, close it immediately. 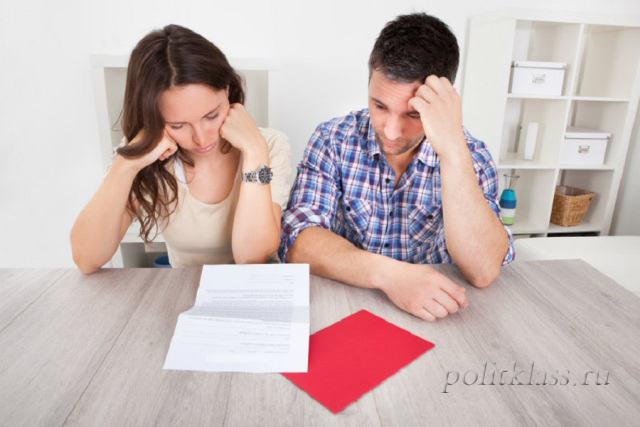 How to be, if you fix a bad credit history does not work? Then let the preferential car loan for you will issue a spouse. If the Bank has rejected the application, what to do? Do not rush to give up, there are ways to fix it. Tip 1 - follow the terms of the creditor Bank. If possible, follow all the lender's terms and conditions. For example, correct the flaws, if they have been identified, request additional help, close previous loans. Sometimes it happens that the borrower remains to the Bank a couple of tens of rubles, which are charged interest. The borrower does not know about it, because at the time did not take a certificate of no debt. If your solvency leaves much to be desired, offer a co-borrower or guarantor. You can offer an additional Deposit. If you refused CASCO, agree, it will immediately reduce the risks of the Bank. If you are denied in one Bank, it does not mean that you will be denied in another. The program of preferential car loans allows you to buy a car for those who now do not have enough money for it and do not like standard conditions. At the same time, this program stimulates the Russian automotive industry. What do you think is better – to take a loan with state support car of domestic Assembly or still buy without any help from the state foreign car?